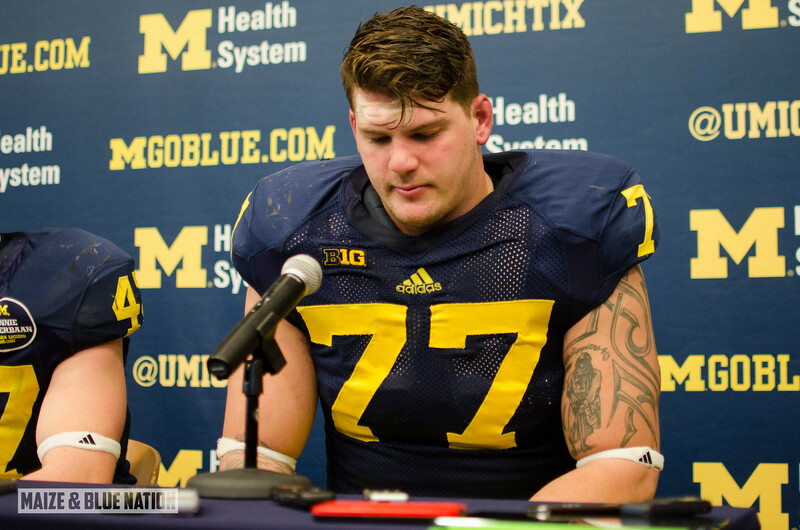 Nice feature on Michigan's All-American offensive lineman, #77 Taylor Lewan. While a polarizing figure on Michigan's offense the last few years, there's no doubting the ability and dominance the senior captain showed in his final season in Ann Arbor. He will be missed, but he set a great example for the young linemen in this program.